Twitter has become known for its timeline: clean and simplistic in reverse chronological order. Users see the most recent tweets at the top of their feeds, and fans love this - especially when big news and trending stories break. The up-to-the-second narrative that can occur is not only engaging, but gets to the heart of what made Twitter the social media giant it is. But now that all has changed … right? The outcry has been fast and steady since Twitter announced and rolled out its new algorithmically generated timeline this week. The timeline will no longer appear in reverse-chronological order but in order of relevance. 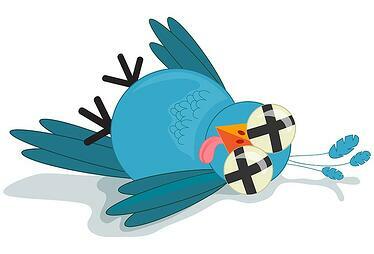 Fans are calling it Twitter’s demise and screaming that the platform is going the path of Facebook. Of course, Twitter is calling it a way to easily see the “best” tweets. What is the new timeline? Thankfully, the new timeline isn’t the huge overhaul that many fear. Yes, the initial tweets in your timeline will no longer be in reverse chronological order at the top of your feed, but based on what the algorithm deems most relevant. Those “best” tweets will begin with the most recent first. However, unlike Facebook, the algorithm won’t dictate the entire timeline. After the initial set of “best tweets” is shown, the feed will return to its standard reverse chronological order. Twitter is hoping, in essence, that this simply becomes an expansion of its "while you were away" feature, which was introduced last year. Users will want to note that the “best” tweets won’t be highlighted in any way, flowing naturally into the full timeline. For those users wanting to make sure they are looking at items in order, timestamps will become your new Twitter BFF. Clearly with #RIPTwitter trending, users aren’t necessarily a fan of this new feature. However, it might just be this very “RIP” fear that is guiding such a change. Simply put, Twitter is struggling. The company is reporting slowed user growth and is holding steady the past two quarters in monthly visitors (reported at 320 million per quarter). The text-only version of the service is down by 2 million users according to the company’s latest reports. So what this really means is that nothing, including the core product itself, is off the table for the company when it comes to retaining its social dominance. The new timeline is a direct reflection of this struggle. Twitter’s internal testing has reportedly shown that users engage more with the top tweets. So, the theory is that by putting the most relevant tweets first, engagement levels will demonstrate tangible growth. How does Twitter know what’s “best”? But, do I have to? Currently users have the option to choose the setting “Show me the best tweets first,” although Twitter does plan in the coming weeks to switch this from an opt-in option to the default setting. The good news is that users will still be able to opt-out or turn off the new timeline. Adoptions levels will be truly revealed in the coming months, but historically users begrudgingly give in to such changes once they become accustomed to them. Of course this is the online world, so don’t expect the complaining to end anytime soon. Are your B2B efforts #RIP? And finally this is the big question: What does this all mean for my B2B marketing plan? For many organizations, Twitter was already looked at as a frustrating necessity where engagement could often be difficult. Many businesses fear the new timeline could take their efforts and upend the inroads they have been making. While of course a lot will be determined by opt-in/opt-out rates, one thing that won’t change for businesses is that quality content was, is, and will always be the biggest factor to succeeding on Twitter. Companies that share quality content have always performed well and this change will only bolster that truth. In fact, those company tweets that become part of the “best” tweets section will likely see their content shining through even stronger with the additional exposure to an interested and engaged audience. However, content creators should note that one challenge with the new timeline is that it will likely be much more difficult to push out time-sensitive tweets that might capitalize on in-the-moment trending news. Previously savvy social media experts could easily capitalize on these types of moments to garner a larger mass exposure. The downside of this change is that an algorithmically generated timeline will likely mean nearly every user’s tweet (company or individual) will be seen by fewer people. That is, of course, unless they pay to promote it. While Twitter, of course, has remained fairly silent about paid promotions – only stating that promoted tweets and promoted accounts will not be affected by the change – most experts point to Facebook as the model that Twitter could soon be mirroring for paid placements. The change to the timeline provides an opportunity for Twitter to robustly enhance its advertising proposition moving forward. Twitter recognizes that “real time” interactions is what built its foundation, which means it is unlikely that Twitter will fully remove a user’s ability to view their timeline in reverse chronological order anytime soon. Thankfully users will be able to decide for themselves if the timeline is a fit. However, B2B organizations will likely need to make a few adjustments. Keeping an eye on quality content should always be a top priority, but this should renew that focus as it will become more important than ever. Additionally, as Twitter’s efforts around this evolve, companies should begin thinking about the increased role paid promotions will begin to play and how that will fit into their efforts and budgets. Want to stay on top of more timely trends & insights from the world of B2B marketing? Become a blog subscriber!